Oran Park is one of the newest and most rapidly developing residential areas in the Camden LGA. But that does not mean it doesn’t have a long history. Featuring an extensive legacy as a raceway and possessing a fine example of colonial architecture, Oran Park is far from being the new kid on the block. Oran Park House* was built some time before 1939 by John Douglas Campbell. The land was part of a land grant given to John Campbell’s uncle, William Douglas Campbell, called Harrington Park, itself also subdivided into a housing estate earlier this century. Oran Park House. Copyright: Camden Council Library Service. 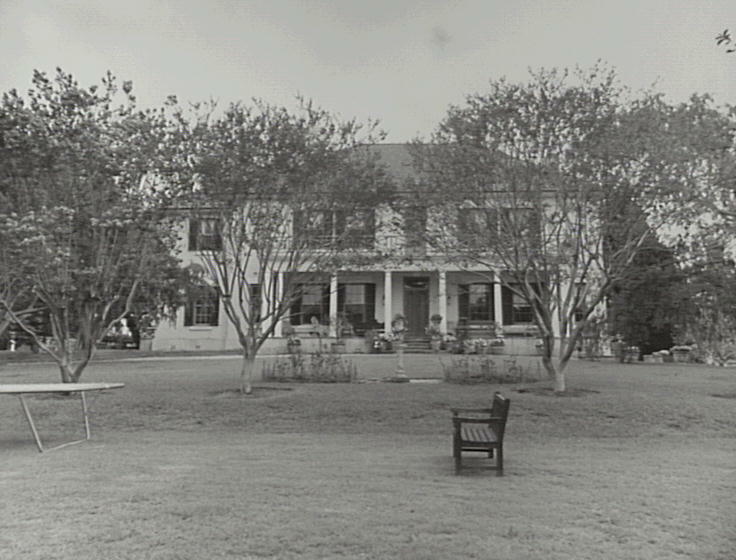 The house, like many of its contemporaries including Camden Park House, was in a Georgian palladium style, featuring expansive vistas. Like other Macarthur Era homes of its kind, it was one of the domains of the “powerful colonial elite” (Ian Willis, quoted in Ward, 2011). However, unlike the continued residence of the Macarthur descendants in Camden Park House, Oran Park House was sold to the Moore family of Bagdally and Campbelltown. It would continue to move through several owners and uses, including a golf club, military camp and grenade firing range in WWII, until the estate was subdivided into small hobby farms in 1961. The south-west and western part of the original estate was transformed into the raceway, built in 1962. The following year it opened and has since seen a great amount of racing from a variety of motor sports, including V8 Super Cars, Australian Touring Car Championships, Superbike World Championships, NASCAR and AUSCAR, and twice hosting the Australian Grand Prix. By the time of its closure it not only saw many kinds of notable races, but earned a reputation as one of the best circuits in the country (Bertola, 2007). 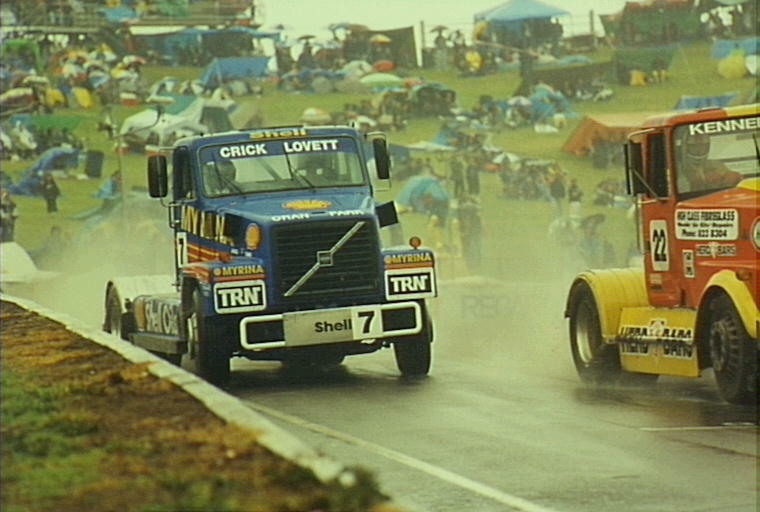 Prime mover truck motor race, c.1997. Copyright: Camden Historical Society. The estate’s latest transformation is into a residential area for the rapidly developing Camden LGA. The first residents moved into their new homes on the estate in 2011, and sales have been booming ever since (Stillitano, 2011; Georgopoulos, 2014). Oran Park Town has seen numerous community facilities emerge, from schools, churches, a retirement home, and the Podium retail complex and business Hub. Camden Council’s new Administration Building is being constructed, and a new library and community centre are in the final stages of planning. Oran Park’s history, with its legacy of the raceway and colonial house, is set to be integrated into all of these new developments as it enters a new phase of its future. Bertola, V. (2007). Last lap closer for Oran Park. Camden Narellan Advertiser. Georgopoulos, M. (2014). Sky-high sales for town. Macarthur Chronicle. Stillitano, I. (2011). New town welcomes first residence. Camden Narellan Advertiser. Ward, M. (2011). Domain of “powerful colonial elite.” Macarthur Chronicle. * In 2015, the current owners of Oran Park House, Harrington Estate, renamed it Catherine Park House as part of the Catherine Park Estate development to the north of the house.